WoLab provides emerging performance makers with the opportunity to try their ideas out. 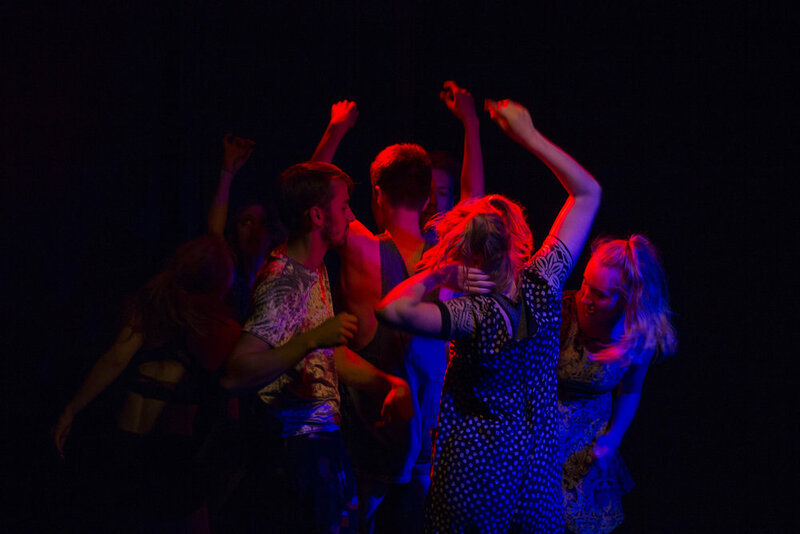 We do this by running actor-training workshops, new writing nights, script development sessions, and also by staging fully realised productions. Our projects are always centred on the artist’s personal development. We pride ourselves on nurturing talent, and are thrilled that our former company members have been signed by agents or gone on to exciting castings, off the back of our shows and events. In terms of the work we make, our methodology is based on connecting with the body’s natural impulses. Through grounding techniques, physical and vocal training and improvisation, we are able to activate our emotions and expand our imagination. This leads to having a real ownership of text, and a heightened realisation of who the character is. Through ensemble work, the rehearsal process offers exercises that connect with the body’s senses and subconscious desires, creating work that is reactive and not prescriptive. The goal is to create performance that is raw and authentic.